Many lawyers love Avvo but there are plenty who dislike it, too—some even to the point of filing lawsuits against the company. Most of their reasons relate to the lack of control they have over some of the information that's publicized about them on their Avvo profiles. So what exactly is Avvo? It's a website that rates attorneys. You can conduct a search by entering an attorney's name and the location where he or she practices. It also offers a referral system. Launched in 2006, Avvo isn't the first of its kind, but it's unique in a few respects and they're what creates the buzz. Avvo rates attorneys in part based on peer endorsements given by other lawyers. This would seem to make it relatively easy for attorneys to get their fellow lawyers to endorse them, particularly in large firms, except for one complication. A lawyer has to "claim" his or her own Avvo profile before he can endorse another attorney. Attorney Carroll Strauss bases her complaint that "Avvo does a lousy job of rating lawyers" partly on this problem. Strauss commented that "To get colleague ratings, Avvo rules require that the colleague has to get or set up his own profile. Since this isn't something most of us want to take the time to do, only the most political attorneys have these." Attorneys who have spent some time looking around on Avvo have noticed a particular aspect of the attorney rankings. Some inexperienced attorneys are given high rankings for no apparent reason while experienced lawyers have low rankings. This might be understandable in situations where the experienced lawyer failed to fully complete the profile, but it makes no sense for the inexperienced lawyer to garner a higher ranking when the two have comparable profiles. Many complaints about Avvo revolve around the attorney's inability to control what is on the profile. Avvo creates a profile for each attorney whether the attorney wants one or not. It will not delete an attorney's profile even if the attorney files a lawsuit demanding that it be removed. The information Avvo posts about attorneys is gathered from public sources and it may or may not be accurate. Avvo lets anyone write virtually anything about any attorney on that attorney's profile without verifying that the person really was or is a client. 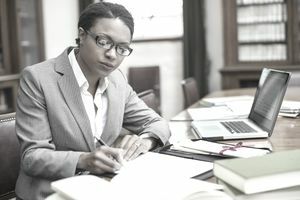 If he or she has ever been subjected to disciplinary action by the state bar association, that information is prominently disclosed on the lawyer's profile as well. The only way an attorney can remove inaccurate information is to join Avvo and claim the profile. Avvo gives attorneys a ranking that they can't control unless they want to spend hours padding their profiles with more and more positive information until something raises their scores. It doesn't give attorneys the ability to have information removed except in instances of obscenity or spam. An attorney isn't able to disclaim the profile after claiming it, either. Attorneys generally dislike not being able to control information about themselves, particularly when it can have such a direct impact on their reputations and incomes, so everything that Avvo does beyond a lawyer's control is a source of hostility. Could joining Avvo lead to an attorney being charged with an ethics violation? According to South Carolina attorney Kirsten Small who conducts seminars on ethics and social networking, the South Carolina Rules of Professional Conduct impose a strict prohibition on client testimonials. If an attorney knows that a website is posting information that violates the rules of professional conduct, the attorney has an obligation to ask that the information be removed. The attorney is required to disassociate from the site if it refuses to remove the information. Avvo blocks both options. Avvo allows client testimonials—good or bad—and it does not allow attorneys to have client testimonials removed. It does not allow lawyers to disclaim a profile once it has been claimed so the mere act of joining Avvo could trigger ethics problems for attorneys in South Carolina or in states with similar rules. Avvo Director Conrad Saam sees the situation as an "attempt by the South Carolina bar to scare its constituents out of embracing the internet." Saam points out that the ethics opinion that established this rule, South Carolina Ethics Opinion 09-10, specifically states that "this opinion doesn't take into consideration constitutional law issues regarding lawyer advertising." In Saam's view, this is because "South Carolina's prohibition of testimonial advertising is plainly unconstitutional." Some attorneys have complained that Avvo is unresponsive to their concerns. Questions about why an attorney's ranking was lowered receive vague answers. Problems with how paid ads are being run do not get fixed. Attorneys who have been reprimanded for only minor issues or technical violations of the rules of professional conduct are not allowed to dispute or explain the circumstances on their profiles. This makes it appear as though they've committed misconduct that might be as serious as those who have been suspended or disbarred for major ethical breaches. Meanwhile, negative client reviews that the attorneys insist are fraudulent are still displayed on their profiles.